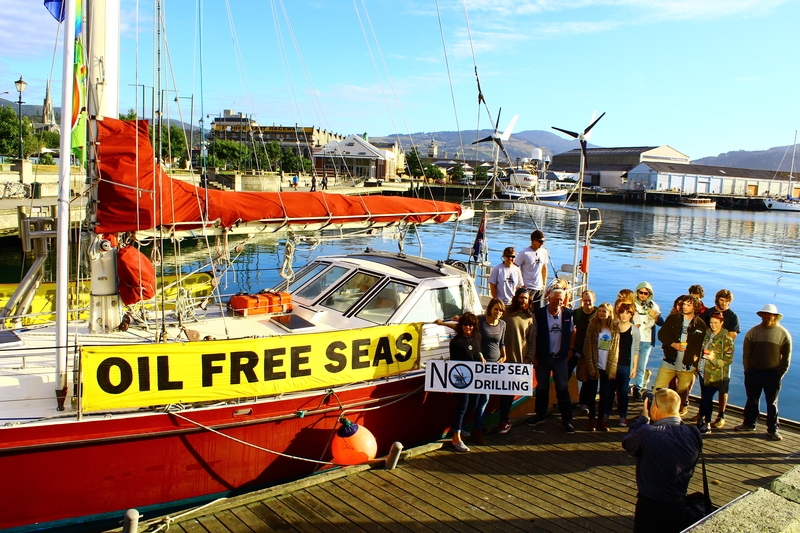 Yesterday morning at 8am, the SV Tiama arrived in Dunedin to meet with Oil Free Otago and discuss plans for a flotilla to go out to meet Anadarko’s drillship when it arrives off our coast. 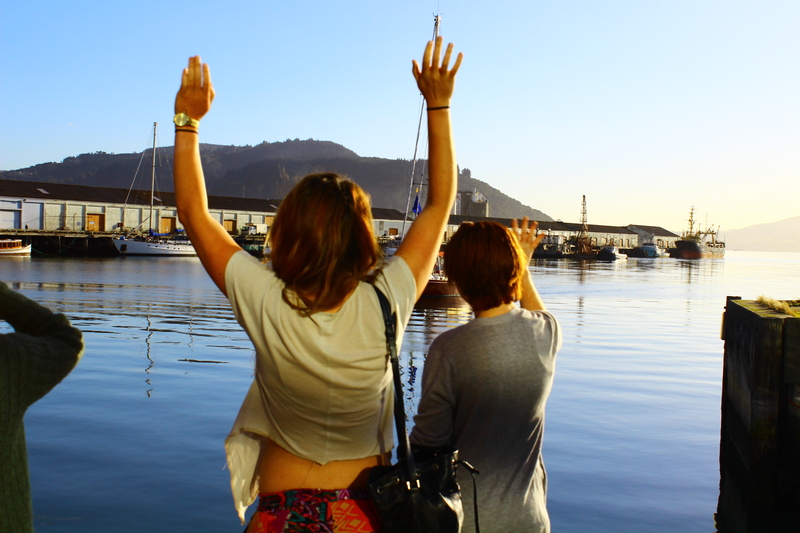 It was a gorgeous morning, the sun was out and the water was glassy. 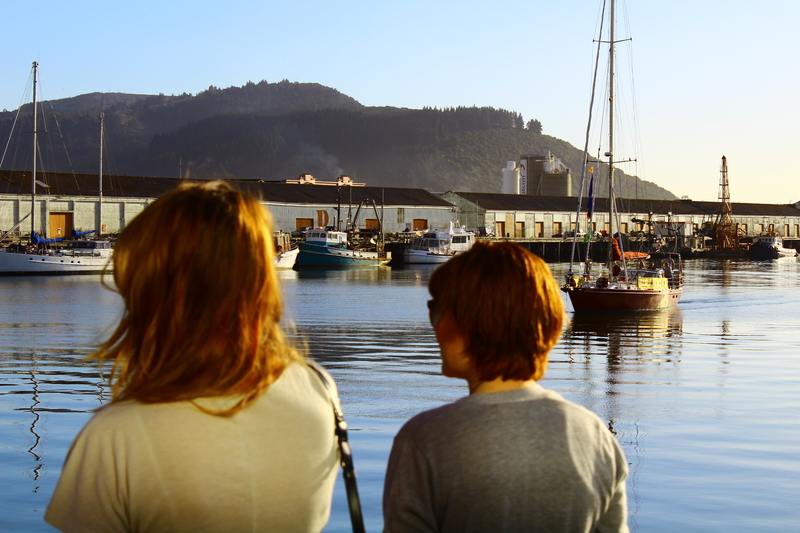 About 20 Oil Free Otago members came down to the wharf to meet Tiama and welcome her to Dunedin. 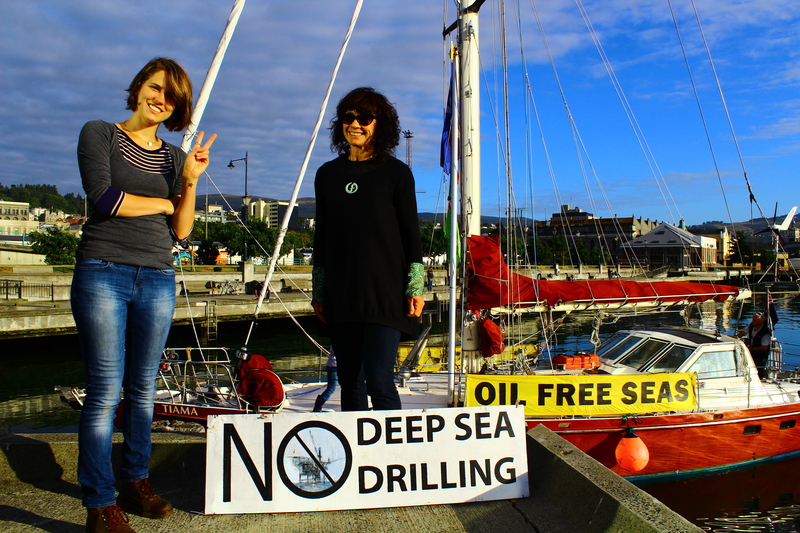 Tiama skipper, Henk Haazen, is a verteran sailor/activist. 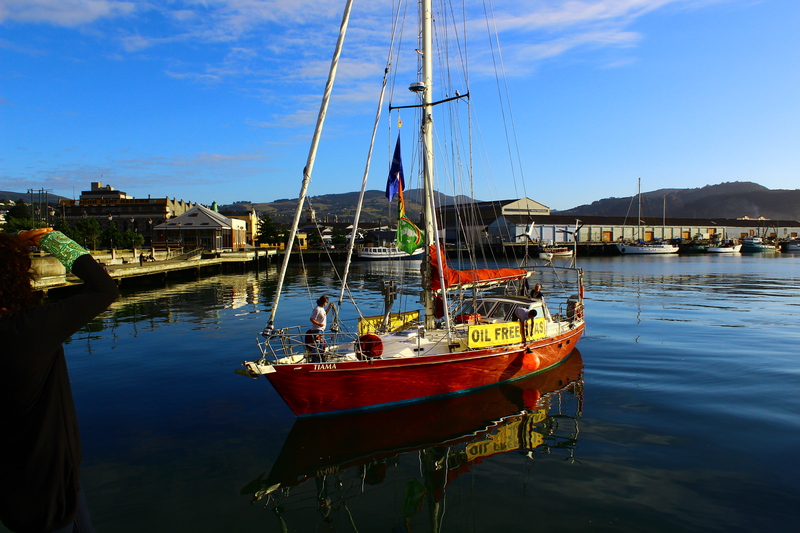 He has sailed in many protests at sea over the decades, including against nuclear testing in the Pacific, and deep sea oil drilling in New Zealand in the flotilla against Petrobras in 2010, and most recently in the Oil Free Seas Flotilla against Anadarko’s drillship, the Noble Bob Douglas in Raglan at the end of 2013. 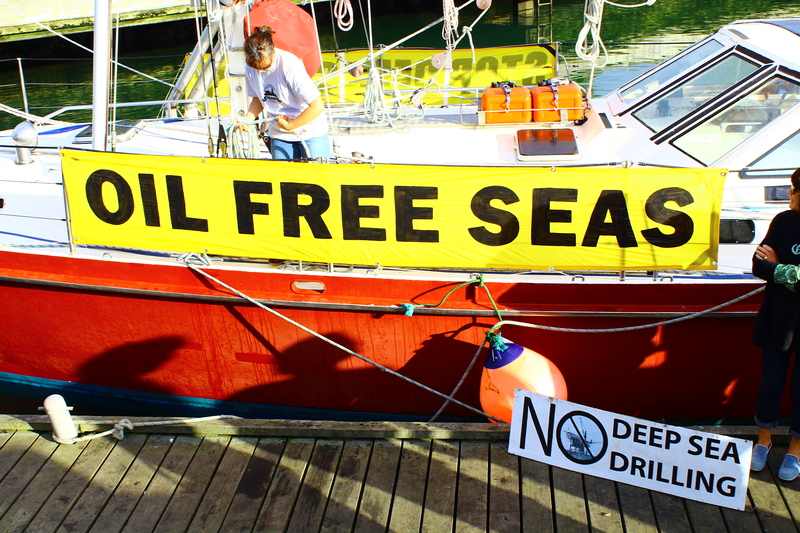 We are delighted to have Henk here to support us in oppsing deep sea drilling off our coast!